To manage extra rush of Passengers during summer season 2017, 10 summer special trains will be run between Kacheguda and Krishnarajapuram. Train No. 07603 Kacheguda-Krishnarajapuram Special Train will start from Kacheguda at 18:00 hrs on 30th April, 7th, 14th, 21st & 28th May, 2017 (Sundays) and arrive Krishnarajapuram at 06:00 hrs on the next day. In the return direction, Train No. 07604 Krishnarajapuram-Kacheguda Special Train will start from Krishnarajapuram at 22:30 hrs on 1st, 8th, 15th, 22nd& 29th May, 2017 (Mondays) and arrive Kacheguda at 11:15 hrs on the next day. 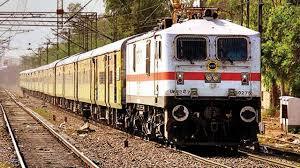 Route: The summer special trains will stop at Jadcherla, Mahabubnagar, Gadwal, Kurnool Town, Dhone, Gooty, Anantapur, Dharmavaram, Satya Sai Prashanthi Nilayam, Penukonda, Hindupur and Yelahanka stations in both the directions.